Anushka to replace Nayan in legendary director’s next? Telangana minister KTR was the chief guest at the pre-release event of Ee Nagaraniki Emaindi last night. Speaking at the event, KTR revealed that he was shocked when he first saw Ee Nagaraniki Emaindi’s title. “I am a minister and whenever it rains, Ee Nagaraniki Emaindi is the headline that prominently splashes in all the news papers. 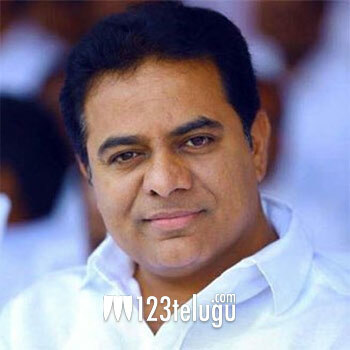 I was worried that this film is going to be a satire,” KTR said candidly. Admitting that he loves road movies like Hangover and Zindagi Na Milegi Dobara, KTR said that Ee Nagaraniki Emaindi will be as successful as the above films. The young minister appreciated the film’s director Tharun Bhascker for not roping in stars for his second film even though Pellichoopulu was a huge hit. Ee Nagaraniki Emaindi features all new actors. Produced by Suresh Babu, the film releases on June 29. Vivek Sagar has scored the music.